Chance-Vought SB2U-2 Vindicator used for diving tests at Langley Research Center. 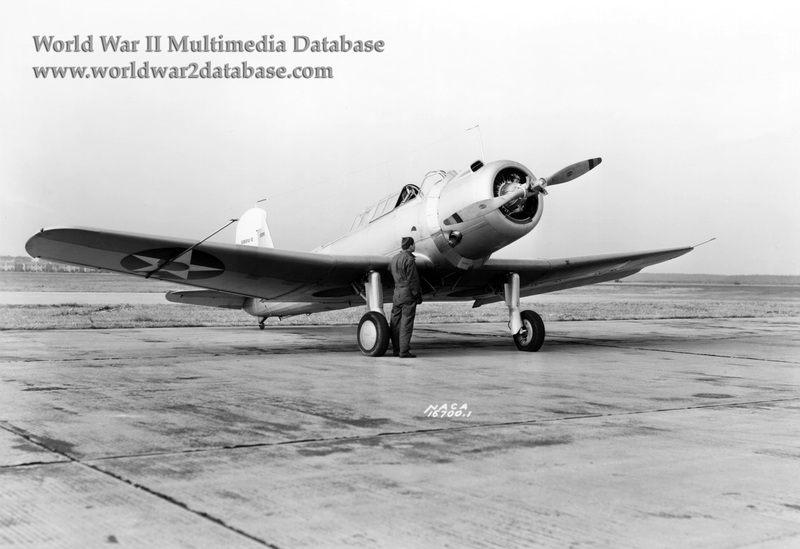 The SB2U was the first monoplane bomber accepted by the United States Navy in 1939. It helped the Navy prepare for the transition from biplanes into monoplanes. The Vindicator lacked dive brakes or enough power for actual dive bombing. Because of the emergency situation at the Battle of Midway, the type was pressed into combat with Marine Scouting and Bombing Squadron VMSB-241. Their SB2U-3 Vindicators made the longest over-water flight (at that time) to reinforce Midway on December 17, 1941. A nine-hour, 1,200-mile (1931-kilometer) flight, the SB2U-3 had additional fuel tanks that allowed the aircraft to make the journey guided by a Consolidated PBY Catalina. In combat, the lack of self-sealing fuel tanks and performance compared to the Japanese Mitsubishi A6M2 Zero-Sen (Allied code name "Zeke") led to heavy losses on June 4, 1942. The Marines did occupy the Japanese Combat Air Patrol long enough to allow Douglas SBD-3 Dauntlesses to successfully attack the carriers, sinking all four.